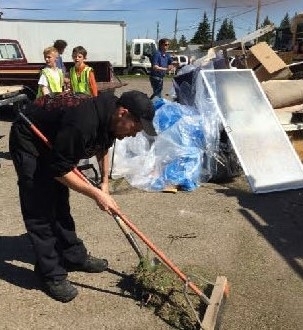 This year's MTC Community Clean Day will be on Saturday, May 25th from 10am-2pm in the McKenzie Towne Hall parking lot. We'll also be having a FREE community BBQ! Electronics recycling - click here for more details. Metals recycling - details coming soon. Documents for shredding - details coming soon. 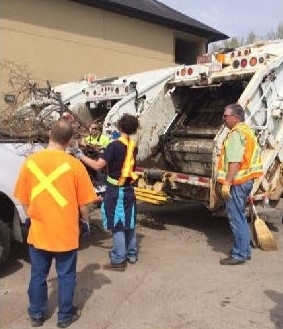 We'll be accepting organic waste materials, as well as those headed to the landfill thanks to the City of Calgary packer trucks. For information on what goes where, please click here. WINS (Women in Need Society) will be here collecting household items in good condition. Please consider donating your items to help families in need, instead of sending them to the landfill. Click here for a full list of what's accepted. This year, we will have a FREE community store! Leave something you don't need, or take something you do need (kids toys, furniture, kitchen items, etc. are all welcome). Remaining store items will be donated to WINS at 4pm. Thank you for doing your part to reduce, reuse, and recycle!